your chiropractor in Honolulu, Hawaii. Call us today at (808) 220-9474 ! Welcome to Wong Family Chiropractic! We are so excited you took the first step towards becoming healthy by taking this opportunity to educate yourself on the benefits of Corrective Chiropractic Care. Located in Honolulu, Wong Family Chiropractic has proudly been serving the Oahu community for over 25 years. 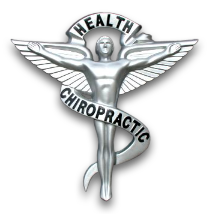 Our doctors are some of the best chiropractors in the Honolulu area, specializing in corrective chiropractic care and wellness. By providing our patients with the finest chiropractic care available in conjunction with our comprehensive wellness program, we have moved thousands of people in the Honolulu area towards better Health and Wellness. Our mission is to educate and adjust as many families as possible towards optimal health through natural Chiropractic care in conjunction with Wellness Lifestyle Education, Coaching and Role Modeling. Our 25 years of experience has given us the opportunity to help thousands of people achieve better health and wellness through our Honolulu Chiropractic office. It has also consistently proven that getting your spine checked at the earliest point in life is essential to ensuring optimal health. Please call us and schedule a check-up today if you have not already done so. If you are new to our website, please browse around to learn about our practice and to discover the wonders of chiropractic wellness. Click on the "email us" link below to ask us a question or to send us feedback. We also welcome referrals, so we invite you to share our chiropractic and wellness information with your friends and loved ones. If you are already a newsletter subscriber, please explore the member wellness section of our website for exercise videos, wellness articles, chiropractic resources, and health facts specifically targeted to your wellness needs and interests. Sign-up using the form or call us at (808) 220-9474 to make your appointment.